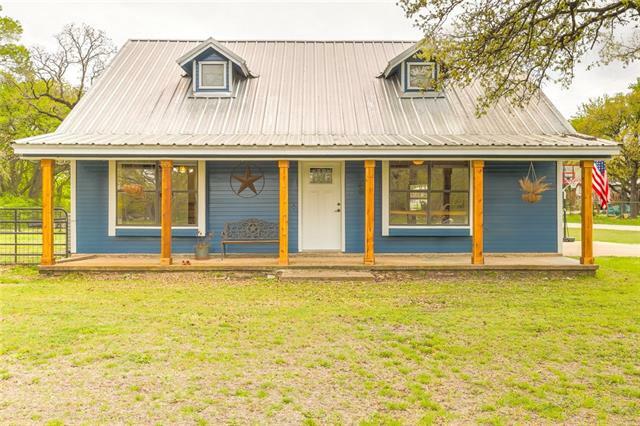 All Lipan homes currently listed for sale in Lipan as of 04/25/2019 are shown below. You can change the search criteria at any time by pressing the 'Change Search' button below. 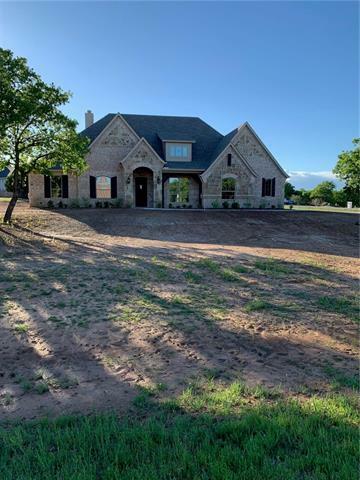 If you have any questions or you would like more information about any Lipan homes for sale or other Lipan real estate, please contact us and one of our knowledgeable Lipan REALTORS® would be pleased to assist you. "PRICE REDUCTION! 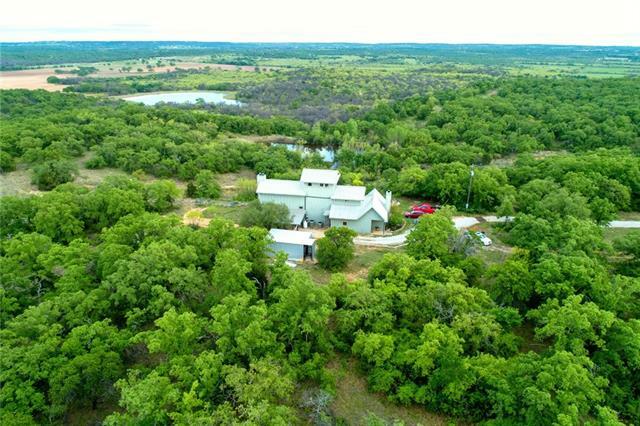 UNBELIEVABLE 99 ACRE RANCH WITH FANTASTIC HOME. THIS HAS ALL THE BELLS AND WHISTLES. HEATED SALTWATER POOL AND SPA. OUTDOOR KITCHEN WITH FIREPLACE. WORKSHOP AND SAFE ROOM WITH HALF BATH IN GARAGE. BARN, 3 PONDS, 2 CREEKS, HOLDING PENS. AUTOMATED GATE. FENCED AND CROSS FENCED. GOOD FOR CATTLE AND A HUNTER'S PARADISE. OAK TREES. NEW FENCES, 2000 FEET APPROX. ROAD FRONTAGE." 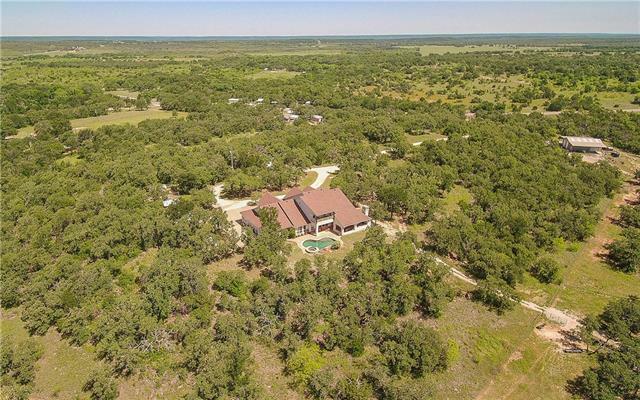 "Unique 3 story home with captivating views of TX hill country. See for miles from the inspirational 3rd story private office. 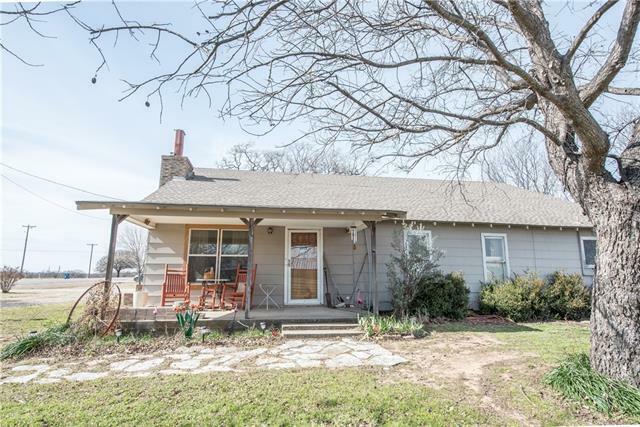 Outdoor covered porch, elevated deck, and fire pit area views canyon and ponds below while listening to wild turkeys, and breathing in the fresh TX air. Water well house and reclaimed water tanks for those summer droughts. Reflective steel roof and many energy efficient features throughout this custom home by life long builder Andy Phy. Concrete stained floors with moss r"
"Lake Tahoe inspired home accented w abundant windows & natural light, nestled on the Sugartree Golf Course!Spacious living & dining areas, elevator, open floorplan, 5 bedrooms, 5 baths, 2 library offices, outdoor living w water feature pool, spa. Rive rock outdoor fireplace, built-in grill. Gas log fireplaces have remote controls in living areas, accented by elevated wood beam accented ceilings w skylights. The gourmet kitchen w lg center island, 6 burner gas cooktop w grill, 2 dishwashers, cus"
"Stunning brick & stone home on a meticulously landscaped lot with gorgeous sunset views. Hand-scraped hardwood floors. Living room has a wall of windows, soaring ceilings & fireplace. Entertainer's dream kitchen equipped with granite, ss appliances, 6 burner gas cooktop, island w prep sink, custom cabinets & built-in desk w shelving. The breakfast room has built-in hutch, bay window & fireplace. Huge master & en-suite complete w dual sinks & vanities, jetted tub & separate shower. Basement featu"
"Country Living at its finest. 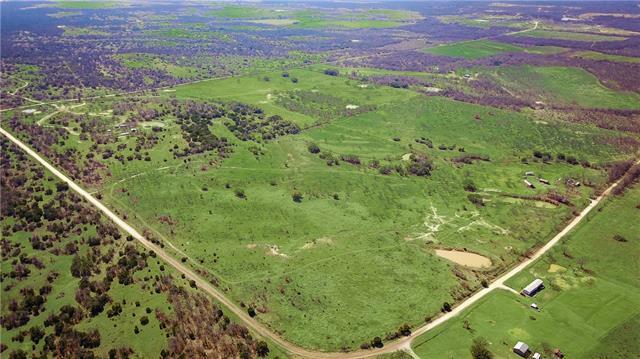 This is the perfect place to make your next cattle ranch or horse farm. Sandy soil for great pasture cultivation. The stock tank on this property has never gone dry, it is spring fed and loaded with different types of fish for your family enjoyment. RV Covered Parking and there is electric run for one also. Guest quarters is a 640 sq ft., 1 bedroom 1 bath with a small kitchen and living area. Great rental property for extra income, and has a separate septic. 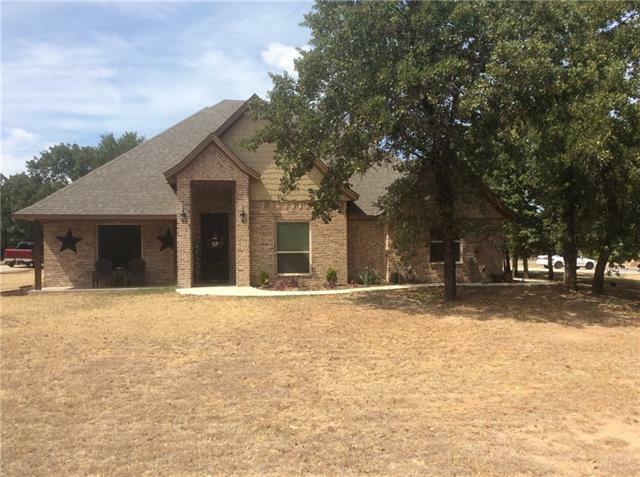 Main ho"
"Don t miss out on this wonderful home in Brock isd . 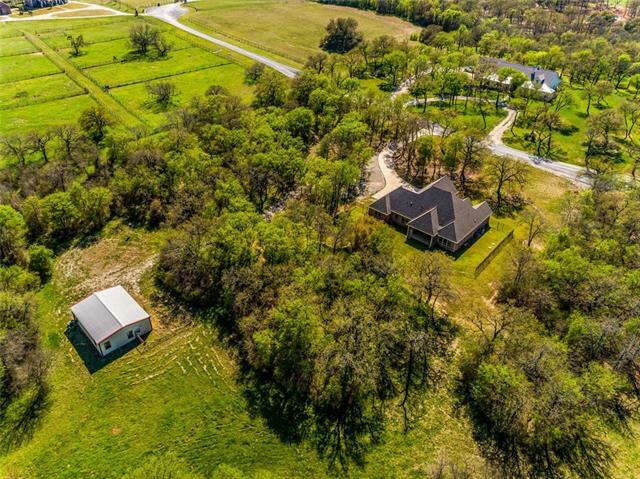 This property has all a family could ask for , beautiful pool for outdoor entertainment,a large 30x40 three stall barn for the horse lovers . A spacious kitchen with an eat at bar with a view of the pool . Beautiful dinning room with large windows with a great view of the front of the property. The master bedroom and bath are spectacular! The bedroom is spacious and has its own fireplace and view into the backyard and pool . 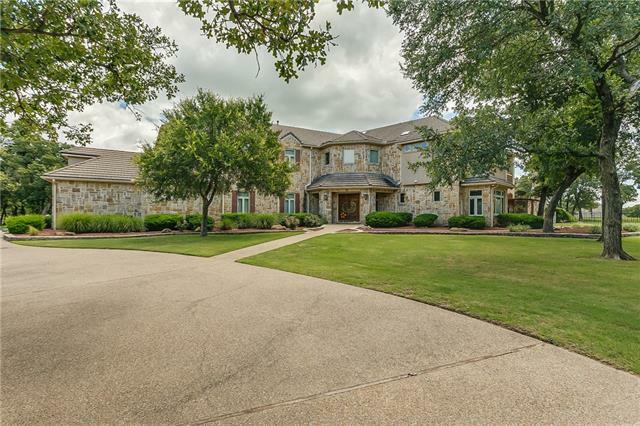 The master bath "
"Stunning Brock ISD custom home on almost 5 acres in the small gated community of Los Rios. This Eagle nation masterpiece boasts coffered ceilings, custom cabinets and granite counter tops. 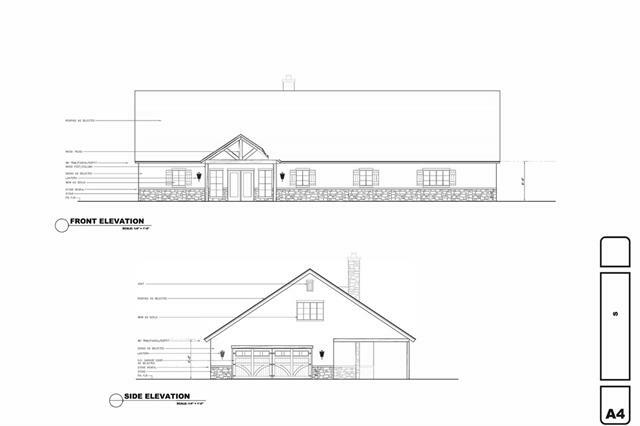 Split floor plan home offers two separate large master bedrooms; both with exterior doors that lead to the over sized back porch with an outdoor kitchen. Downstairs study and dining room with ample space for entertaining. Upstairs offers a loft room with large bathroom. Huge shop with electric sits on the back"
"Great hunting, gorgeous views, unlimited potential! This property has been upgraded to the perfect weekend retreat for your family and friends! All done in the last 3 years: New well and 10x10 metal well house with room for storage; new septic system; 16x48 cabin with 2 bedrooms, living room, kitchen, utility room, lofted storage and large covered porch; PLUS a 16x32 GUEST HOUSE with 2 rooms and a bathroom. The property also includes a storage container with electricity and an antique log barn t"
"A trainers dream, 20+- acres fenced & cross fenced, 21 stall barn, tack room & storage area, wash rack, 60 ft. breaking pen, 150 ft. lighted round pen, 120 ft. octagon pen with the best sand around, 6 horse push walker, cutting machine. Everything in great condition & ready to go to work. Plus a very cute 3-2 brick home." 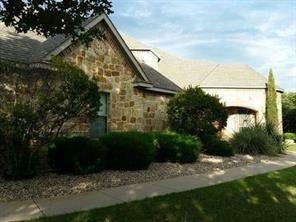 "Gorgeous Sugartree Home located in the Brock School District. Gourmet kitchen with granite, gas cooktop, dbl oven, 2 dishwashers and walk-in pantry. Crown Molding throughout with lots of storage and custom cabinetry. Hand-scraped hardwood floors and travertine tile. Master bath has heated floors and heated shower floor with river rock. Gas outdoor fireplace with a plumbed gas outlet for your grill. Pool has been recently updated with new pebblesheen. 3 car oversized garage. Upstairs game r"
"4 bdrm 4 bath home w 3496sf. Custom build located @ Sugartree Golf Course. Pine floors in KIT, LR, DR & MBD w stained concrete in the rest of the house. Crown molding & finish out. Lg MBD opens up to back balcony, huge walk-in closet, XL shower & jetted tub. 2nd Bd w stand-alone tub & walk-in shower. The other 2 bds are roomy & both have bath w walk-in showers. KIT w dbl ovens, granite counter tops, gas-burning stove & storage. DR w built in hutch for lots of dishes on display. The living room h"
"Immaculate one-owner custom built home on the 10th green of SUGARTREE Golf Club on the Brazos. Highly rated BROCK ISD. Spacious 3088 SF w GOURMET kitchen, huge walk-in MASTER SHOWER, 3 fireplaces, two OUTDOOR LIVING areas. Open concept to GAMEROOM and LIVING area from kitchen. Permanent stairway to decked attic space. Multiple storage areas in OVERSIZED garage, including separate golf garage. 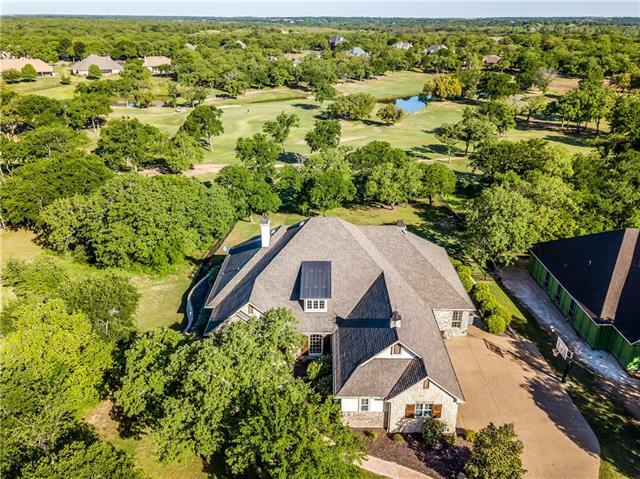 Bring your hobbies and worries out of the city and make this blessed home your own country club.Too many"
"Gorgeous custom home on beautiful corner lot in gated golf course community and Brock ISD. Home features spacious open concept floor plan with huge island workspace, formal dining, and game room with .5 bath. Upgrades include hand scraped hardwood flooring, custom cabinetry, granite counter tops and stainless appliances. Comes with builders 2-10 warranty!" 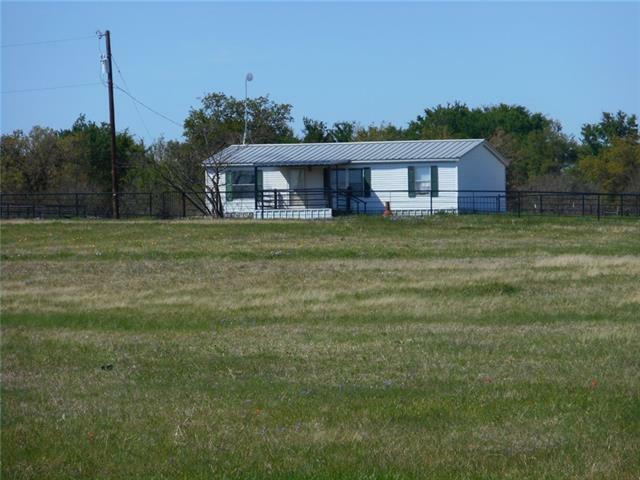 "Hard to find Acreage with 30 x 32 Metal Home on Sandy Soil! 13.728 Acres also features 24 x 24 Metal Shop with 2- 10 x 10 roll-up doors, 12 x 24 Loafing Shed, 20 x 40 Enclosed Barn, 170 x 330 Arena and Coastal Pastures." "Modern Country living with convenience. This beautiful corner lot has tons of potential and it is located at the corner of highway 4 and Russell Rd. The lot is covered with beautiful mature trees, with the home set off the road nestled away to provide a quiet place to retreat to. The living room, dining room, and the kitchen have an open concept with high vaulted ceilings. The living area has double doors that open to a massive covered porch that stretches across the entire back of the home. 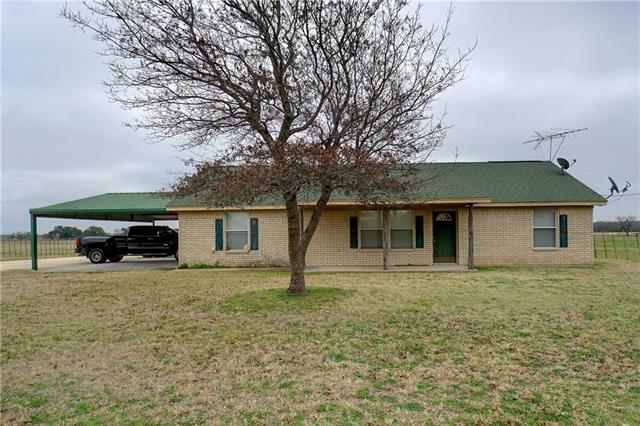 The"
"NOW AVAILABLE THIS FOUR BED ROOM TWO AND A HALF BATH THREE CAR GARAGE HOME IN BROCK ISD .ENJOY A HEAVILY TREED CORNER LOT WITH PLENTY OF WILDLIFE TO VIEW . INSIDE YOU WILL FIND TWO LIVING AREAS FOR YOUR FAMILY TO ENJOY, PLUS A SPACIOUS GAME OR BONUS ROOM UPSTAIRS .BUILT IN 2016 THIS WONDERFUL HOME IS UP TO DATE AND READY FOR YOU AND YOUR FAMILY , DON'T MISS OUT ON IT ." "Comfortable 3-2 home with a guest cottage and a large front porch! Living area features vaulted ceilings and an open concept flowing into the kitchen and dining area. The downstairs master bedroom offers views of the large back yard with shade trees and creek access. Back porch, and adjacent patio area perfect for entertaining with easy access to the guest cottage with updated flooring and a full bathroom. A 12x16 workshop completes the property with a place to store, build, or craft. Conven"
"Super motivated seller is open to offers! Selling AS- IS. Truly a hidden gem. 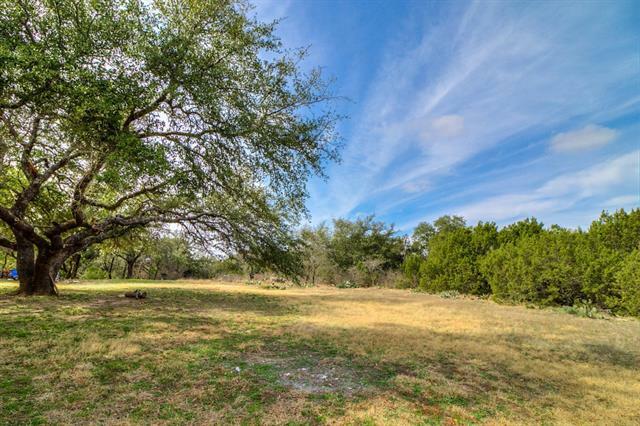 Over 2 acres, filled with trees and wide open space. 4bds plus bonus room and 2 full baths. Nice bright eat-in kitchen and large covered deck. Chicken Coop. Green house and tons of potential. The above ground pool will removed. Needs some clean up and TLC - Being sold AS-IS. Buyer to verify all information. No Warranties. AS-IS sale on this property." "Welcome Home. 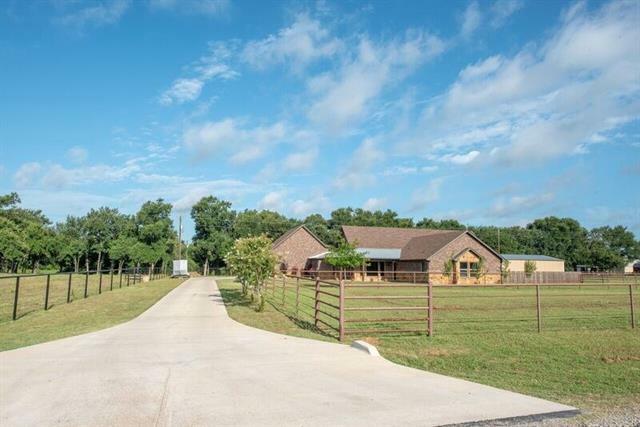 2 Homes and a large Barn on 6 acres. Main house is a large farmhouse with endless character and 2 master suites. The main house has a newer Central HVAC and updated plumbing. 720sq ft guest house has two bedrooms, one bath and a full kitchen for endless possibilities including in-law suite, hangout space, mancave or rental potential. Large 24x48 metal shop with full slab floor, electric, extra large roll up door, and 24x16 loft for all your storage needs. 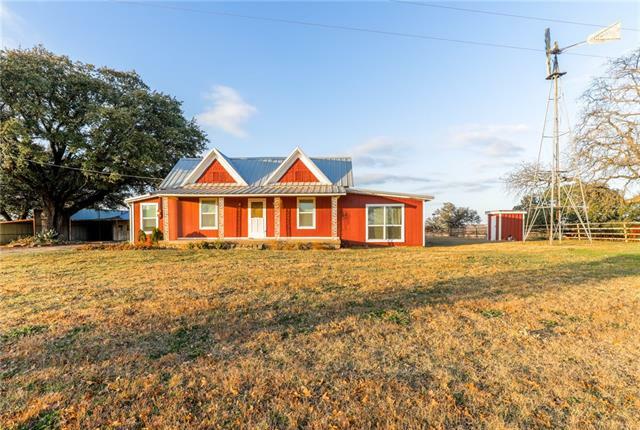 Located just outside Lipan"
"Quiet little place out in the country,quick access to I-20,Pipe horse pen and covered stalls with tack room,additional storage room behind house,nice pasture in front."